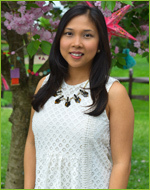 A board-certified and NJ-licensed Speech Language Pathologist, Rizza Miro has years of experience in schools, acute care hospitals, early intervention programs, and outpatient facilities. She obtained a Master’s degree in speech language pathology from The George Washington University. Rizza’s passion shows in her work with children from birth to 18 years of age. She has sought to increase her training and gain more information in various treatment strategies and programs. Rizza is experienced in the PROMPT method for treatment of Apraxia, as well as in Michelle Winner's Social Thinking Program. She is also an Integrated Listening Program ADVANCED PRACTIONER. In addition, she is experienced in the SOS feeding program and developed The Feeding Center at the Communication Station. Rizza was recognized by the community in the 2008 Courier Post article “35 Under 35”, which featured “35 successful, community-minded young professionals making a difference.” In addition, The Feeding Center was also featured in ABC News and Rizza humbly participated in the interview. Rizza has been a featured national speaker through Lorman Education Services, as well as a local speaker for Tri-County Speech/Language Hearing Association, ASPEN (Asperger Syndrome Education Network) and the Apraxia Support Group. 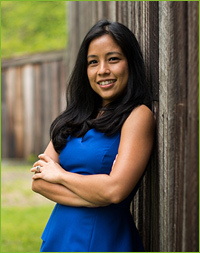 In 2012, Rizza was a co-speaker at the Pennsylvania Speech and Hearing Convention for "Improving Social Interaction and Communication with an Interactive Language Program." In 2013, Rizza was also selected to be the speaker in a 6-day 2-part lecture series in behalf of the New Jersey Department of Education. The topic of these lectures was Promoting Language and Literacy in the Preschool Classroom. On May 2014, Rizza was a featured speaker at the Cooper Hospital Learning Center's First Annual Facets of Dyslexia Conference. She will also be speaking to families of KIDDS, a non profit group serving all families with children with Down Syndrome. Sarina Hoell, MS. CCC-SLP, received a Masters of Science in Speech Pathology from Rutgers University. She has over 25 years experience as a Speech Language Pathologist working with children ages 2 to 21. Her experience includes working in the Evesham Twp. Public Schools with the Preschool Disabled program where she provided services for the Autistic Program. At the present time she is employed full time as a Speech/Language Specialist working with the CAPPS program at Rosa International Middle School. This program provides “Social Thinking” instruction for middle school students with various diagnoses including but not limited to Aspergers Syndrome. At Rosa Middle School, Sarina also provides speech/language services for students with delays in critical thinking skills, articulation, apraxia, auditory processing and executive function. Along with our other speech pathologists, Sarina is also certified in The Listening Program and in the Integrated Listening Systems Program. Sarina presented at various conferences including Michelle Winner’s First Annual Social Thinking Conference in June 2008 and on Executive Function Delays in Children and Adolescents for CORA in January 2009. Although her professional life is extremely important to her she takes the utmost pride in her three children who continue to make her very proud. They taught her that patience and perseverance will equal success. Phil is the director of Clinical Services for PTS Inc., a Pennsylvania facility. 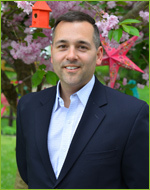 He is PA and NJ-licensed, as well as board-certified by ASHA. He is highly specialized in fluency treatment for stuttering and cluttering disorders, as well as receptive & expressive language disorders. He is a very welcome addition to our facility. He collaborates with the entire staff to provide the most effective and individualized treatment for our wonderful children. 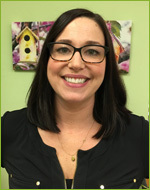 Julianne is a board-certified and NJ-licensed Speech Language Pathologist with over ten years experience working with both children and adults in various therapeutic settings. These settings have included acute and sub-acute rehabilitation facilities, home care, and private practices. She received her Masters Degree in Speech Language Pathology at Loyola College in Maryland. 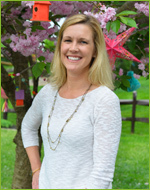 Julianne’s passion is working with infants, toddlers, and preschoolers with a wide range of communication disorders. She specializes in helping children obtain age-appropriate receptive and expressive language skills, articulation skills, and phonological processing skills. She formulates individualized treatment plans to target oral sensory and motor planning deficits, language processing disorders, and voice disorders. She is also certified in the Speech E-Z Program for Apraxia as well as being an ADVANCED PRACTITIONER for the Integrated Listening Systems Program which target Central Auditory Processing Disorder. Julianne was recognized by the American Speech-Language Hearing Association and granted an Award for Continuing Education (ACE) in May 2009. She shares this honor with a select group of professionals who strive to continue professional learning beyond their formal education and licensure requirements. Emily is a graduate of LaSalle University in Pennsylvania where she received her Master’s of Science Degree in Speech-Language-Hearing Science. Emily also works in Burlington County where she provides speech and language therapy and evaluates children ages preschool through middle school. 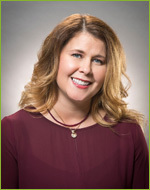 She has experience with a variety of disorders, including Autism Spectrum Disorders, Genetic Abnormalities, Apraxia, and hearing loss mediated with the use of a cochlear implant or hearing aid. Emily’s specialty skills include her knowledge of sign language and deaf culture, alternative and augmentative forms of communication, and early developmental skill sets, all of which strengthen her ability to formulate client goals and ensure her clients’ success. Kathleen is certified by the American Speech-Language-Hearing Association and is licensed by the state of New Jersey. She received her Master's of Arts degree from Montclair State University in Communicative Sciences and Disorders in 2004. 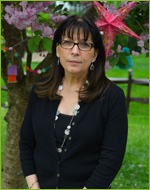 She has years of experience working with a range of disabilities in children, adolescents, and adults. Kathleen's work experience includes public and private schools from preschool through high school, private practice, and home-based settings. She gained international experience while working for a year in Ireland at a school for children with Autism. Kathleen has a passion for working with children and adolescence targeting their needs in articulation, expressive language, receptive language, and auditory processing. She has extensive experience in targeting pragmatic language/social skills which benefit many of our families. She is also well versed in the use of various augmentative and alternative communication devices. Kathleen is a certified provider for The Listening Program, the Integrated Listening Systems program, and the Interactive Metronome. 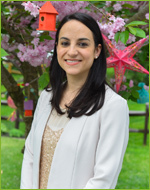 Meaghan DeAlmeida is an ASHA certified and NJ state licensed speech-language pathologist who currently practices in school settings throughout Burlington County. She received her B.S. from the University of Rhode Island and received her M.S. 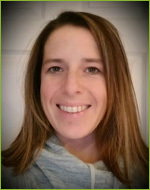 from LaSalle University, Philadelphia, PA. She has practiced for eleven years in a variety of settings including clinical, medical and school-based locations throughout New England and the Mid-Atlantic. Meaghan has extensive experience working with exceptional children with diagnoses including Autism, Cri du Chat, Down Syndrome, SMA, Angelman Syndrome, Hearing Impairment, Deaf, Dysfluency, Craniofacial Disorders, Verbal Apraxia of Speech and disorders of Expressive and Receptive Language. Her early experience with audiological testing of newborns sparked a profound interest in early language development and how early detection and intervention impacts language across the lifespan. She holds particular interests in language acquisition especially in those who are English Language Learners, development and use of Augmentative and Alternative Communication (low and high tech) and Social Skill development. Meaghan has participated in many workshops and trainings that incorporate the many facets of speech-language pathology including the Language Acquisition through Motor Planning (LAMP) program, Dynavox/Mayer-Johnson training, Prentke Romich Company (PRC) training, use of PROMPT techniques, American Sign Language (ASL) and Picture Exchange Communication System (PECS). Meaghan finds an integral component to her passion and success in working with children is establishing sincere rapport and relationships with her clients from as young as preschool-aged through adolescence. This along with considering client culture and experience in addition to working in a team dynamic with families and other service providers is something she feels yields fulfillment of each client's ultimate potential. Kelly Emmer has over 10 years of experience as a Speech-Language Pathologist in a variety of settings including schools, early intervention, home-based, private, hospital and outpatient facilities. 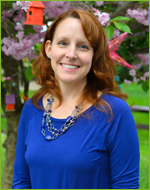 Kelly is licensed in the state of New Jersey as a Speech-Language Pathologist and is certified nationally through the American Speech and Hearing Association (ASHA). Kelly Emmer received her Master's degree through NOVA Southeastern University in Fort Lauderdale, Florida. She received her Bachelor's of Science degree from the Richard Stockton College of New Jersey, where she currently teaches and supervises graduate and undergraduate students in the field of Speech-Language Pathology in Stockton's Communication Sciences and Disorders department. Kelly has experience in treating a wide variety of speech and language disorders in both children and adults. She specializes in pediatric intervention of phonological disorders, articulation disorders, oral motor deficits, apraxia of speech, dysarthria, receptive and expressive language disorders, auditory processing disorders, and autism spectrum disorders. Her training includes expertise in Sarah Rosenfeld-Johnson's Oral Placement Therapy (OPT), Prompts for Restructuring Oral Motor Targets (PROMPT), Integrated Listening Systems (ILS), and the Picture Exchange Communication System (PECS). Kelly takes great pride and joy in working with clients and families to help them grow in their communication skills. She strives to continue to improve in her own experience and knowledge in this field. Holly comes to us with experiences that extend from a variety of settings including pediatric hospitals and early intervention, to public and private schools such as Bancroft in Cherry Hill NJ. She has also worked with adolescents and adults in inpatient and outpatient hospital settings. She received her Masters of Science degree in Speech Language Pathology from The College of Saint Rose where the focus of her program was on fluency and language disorders. She has 20 years of experience working with children from birth to twenty-one who are diagnosed with various speech, language, feeding, voice and fluency disorders. 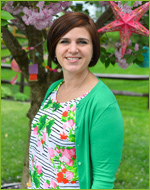 She currently works in Burlington County servicing students in an Intensive Preschool program and Elementary Autism program in addition to servicing students in inclusion classrooms and regular education. She manages behaviors that interfere with a child's academia or social development through the use of individualized visual reinforcement schedules. She provides extensive parent training to help families enhance carryover of newly learned skills. 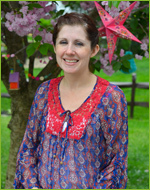 Holly was also a member of a comprehensive feeding team of OTs, PTs, dieticians and physicians at The Children's Specialized Hospital in their Mountainside, NJ location and continues targeting behavioral feedings difficulties with children using methods individual to each child and family situation. She is a strong team player and thrives on continuously gaining knowledge from her colleagues varied experiences and enjoys incorporating new ideas and tools into her own interventions. Bobbie is certified by the American Speech-Language-Hearing Association and is licensed to practice in the state of New Jersey. She received her Masters of Science degree in Speech-Language Pathology from Mercy College in New York. Bobbie brings to the practice experience working in a public school setting where she provides treatment to students aged 3 to 18 years old. She has helped children and adults with a variety of communication disorders and diagnoses such as Autism Spectrum Disorder, Down Syndrome, Individuals with Developmental Disabilities, Apraxia of Speech, and other disorders. 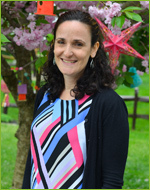 Currently, she works for Burlington County in the Preschool Disabled Program where the focus of therapy include addressing delays in early language skills, speech sound disorders, difficulties with social skills, sensory processing disorders, and oral motor skills. 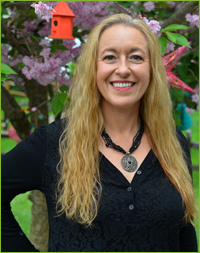 She also works with school-aged children from Grades 5 through high school in which she targets receptive and expressive language skills, especially as it relates to common-core curriculum standards with a heavy emphasis on reading and writing skills. Bobbie draws her inspiration from personal experiences that led her to her profession. Her brother is hard of hearing, and Bobbie has strived to help him be a better communicator. Bobbie is fluent in sign language and finds great satisfaction in making a difference in the lives of her families. Natalie completed a 5-year master’s program at Duquesne University in Pittsburgh, PA. She is board certified by the American Speech and Hearing Association (ASHA) and is licensed in NJ and PA. Natalie has over 6 years of experience working in regular education schools, private practice, home health, and adult acute care. In addition to working at Rizza Miro & Associates, she currently works at a specialized secondary school for students with disabilities where she not only provides direct therapy but provides support to her students while they’re in the community. Areas of specialization and interest include: Autism, Augmentative and Alternative Communication (AAC), and hearing impaired/cochlear Implants/sign language. Natalie has a lot of experience with behavior shaping techniques for children in the Autism Spectrum. She also employs a combined sensory and behavioral approach to feeding disorders. Natalie has a certificate in Assistive Technology. She has been a guest lecturer at the graduate level and has mentored graduate students completing their field work. Natalie strives to continue her education through attending conferences and received the Award for Continuing Education through ASHA. Natalie enjoys collaborating with other professionals to help her clients meet their optimal performance. Her goal as a speech pathologist centers on educating parents, caregivers, and fellow professionals in communicative and behavioral techniques to provide the structure necessary for carryover of skills in the client’s daily environment. Meghan earned her BS/MS from D’Youville College in Buffalo, NY in 2004. Over the course of her years as an occupational therapist Meghan has worked with children in a variety of settings including early intervention, special needs classrooms, home care and private practices. Meghan has extensive experience related to sensory based feeding difficulties with children of various ages and has participated in a variety of continuing education courses related to this topic including Mealtime Miseries and Nutrition for the Child on the Autistic Spectrum. Meghan has worked with many families to create sensory diets and strategies for use in the home and in school to assist children in being able to participate in their everyday routines with less disruption due to sensory difficulties. She has a drive to help children who may not have a specific diagnosis although struggle in school or at home. Their struggles may be related to attention, focus, or sensory-seeking behaviors that cause them not to be able to enjoy their life the way their peers do. Meghan feels the smallest adaptations can cause the biggest changes. Meghan also has experience in fine motor and gross motor coordination issues as well as grasp and handwriting difficulties. 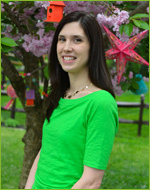 Meghan is trained in Interactive Metronome and has also spoken at The New Jersey Occupational Therapy State Conference. She has hosted informational family groups on the sensory systems as well as sensory-based feeding strategies. Meghan truly loves working with our children and creating lasting relationships with our families. Each child she works with is one of her 'kids' and she makes sure every family knows she is there for them in any way needed. Caroline Welch has been working as an occupational therapist since 2002. Most of her clinical practice has focused on pediatrics and has had the opportunity to work in both public and private school sectors, early intervention, and outpatient rehabilitation. She has worked as an Academic Fieldwork Coordinator in the Occupational Therapy Department at the University of the Sciences in Philadelphia and as an Assistant Professor in the Occupational Therapy Program at Temple University. Caroline recently graduated with her Clinical Doctorate in Occupational Therapy from Temple University. She also has specialty certifications in Sensory Integration and Neurodevelopmental Treatment (NDT). But most importantly, she is a mom of two fabulous little girls, who keep her very busy and on her toes. They have truly made her a better person, both professionally and personally. She is also a new mommy to a forever furry friend, who has brought so much love and joy to her family. As a clinician, her professional qualities and traits closely align with the authentic leadership style. As an educator, she incorporates cognitive learning theories into practice to help individualize treatment and modify tasks and activities to best to meet each student's learning needs. As an occupational therapist, she frequently uses the ecological models to guide practice and utilize a holistic, humanistic, developmental, and transdiciplinary approach to treatment. Felicia Castagna achieved a Bachelor in Arts in Psychology from Temple University in 1997 and a Master in Science degree for Occupational Therapy from Thomas Jefferson University in 2001. She has also completed a Post Professional Certificate in Pediatrics from Misericordia University in 2007. She first worked at St. John of God School in South Jersey, which is a specialized school with children with cognitive disabilities. Since then she has been working in a variety of programs including Outpatient, Inpatient, Day Hospital, and Medical Day Program. These settings afford her to work with populations including Autism, ADHD, ODD, SPD/SMD, CP, Concussion, TBI, prematurity, Ortho, Rehabilitation/Surgery, and genetic disorders. Currently she is a full time Clinical Educator. Felicia utilizes her knowledge gained via continuing education and experience to assist in mentoring and guiding other OTs. She heavily uses the knowledge she has gained from sensory integration and NDT as a treatment reference for the various populations of children she treats. She addresses many different skills within her individual treatment sessions: coordination/movement disorders, behavior modification, sensory difficulties (anxiety/aggression levels), fine motor skills, activities of daily living (ADLs), and socialization/play. 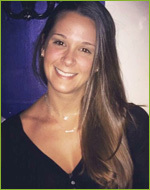 Allison Smith is a pediatric occupational therapist who graduated with her Masters Degree in Occupational Therapy from Stockton University in New Jersey. 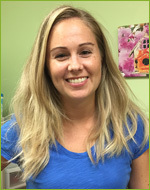 She has been a pediatric practitioner for 5 years and has worked in a variety of settings including early intervention centers, home-based early intervention, handicapped preschool programs, private practices, outpatient centers, and special needs schools. Her passion, as well as area of expertise, is working with children with sensory integration disorder and children on the autism spectrum. Alli has taken a variety of continuing education courses focusing on sensory integration disorder, sensory based feeding difficulties, sensory based anxiety disorders, etc. Her biggest accomplishment was receiving a scholarship from the Sensory Processing Disorder Foundation which allowed her to travel to the STAR center in Colorado and attend an intensive mentorship program on treating children with sensory integration disorders under Dr. Lucy Jane Miller. She learned from the experts in the field and observed the strategies and techniques they use, such as the Integrated Listening Program, the SOS Approach to Feeding, Interactive Metronome, and others. Alli's passion is helping children be comfortable and confident in themselves and participate to the best of their ability in their everyday routines. 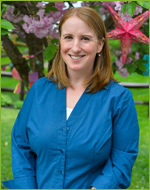 Amy Welch is a NBCOT certified and NJ state licensed occupational therapist in over 6 years of experience. She graduated from Pennsylvania State University with a degree in Human Development and Family Studies before obtaining her Master’s degree in Occupational Therapy from Boston University’s top ranked program. Her education, affiliations, and work experiences have taken her to Pennsylvania, Massachusetts, North Carolina, Georgia, and New Jersey. She highly values these varied experiences as she has been able to take away the best of what each had to offer and integrate them into her own practice. For two years, Amy worked in a private school for Autism focusing on the provision of ABA therapy. In subsequent years, she sought training in sensory processing and integration to better understand the relationship between behavior and sensory needs which influence children’s maladaptive behavior. As an active member of the American Occupational Therapy Association and her school’s occupational therapy department, she continually seeks and engages in professional growth by attending national conferences, collaborating with co-workers, and staying up to date on practice trends. She has attended courses on handwriting instruction, self-regulation strategies, assistive technology, functional vision, and sensory-based strategies. She has dedicated her career to helping children grow and gain independence. Amy has had the opportunity to work with children and adolescents on fine motor, visual-motor, self-help, self-regulation, sensory processing, and social skills. She carries a team mentality and not only values, but welcomes collaboration with other service providers, professionals, and family members. Amy strives to build caring and trustworthy relationships with each child in hopes of providing a comfortable environment. She feels that these bonds are integral in the learning process and hopefully lead to therapy that can be not only beneficial but fun. Alexandra "Ali" Poporad is a National Board Certified Occupational Therapist, who is licensed in New Jersey and Pennsylvania. Ali received her Bachelor’s Degree in Health Sciences at Drexel University, and then went on to receive her Master’s Degree in Occupational Therapy at Thomas Jefferson University. Ali has over 5 years of pediatric experience, and has worked in a variety of settings including acute care, private special needs school, outpatient centers, and inpatient acute rehabilitation. She has experience with a wide range of diagnosis including autism, sensory processing disorder, cerebral palsy, developmental delay, spinal cord injury, traumatic brain injury, prematurity, as well as medically fragile children with complex medical comorbidities. Ali has taken a variety of continuing education courses focusing on sensory integration disorder, splinting, neurodevelopmental treatment (NDT), vision, and Handwriting without Tears. Her goal is to help children gain the necessary life skills to allow them to lead the most independent, productive, and satisfying lives, and of course have fun while doing so.